Conference series LLC organizes 300+ International Conferences Every Year across USA, Europe & Asia with support from 1000 more scientific Societies and publishes 400+ Open Access Journals which contains over 30000 eminent personalities, reputed scientists as editorial board members. Vision Science -2017conference includes major sessions on detailed overview on Eye and Vision, Eye diseases and disorders, in cognitive science, Perception and Human Information Processing in Visual Search, psychology, and optometry. Vision Science 2017 follows the theme of “The Thinking Eye...The Seeing Brain”. Vision Science 2017 also acts as a platform to exchange information, new interventions to bring research into clinical practice. It is our pleasure to announce 15th International Congress on Vision Science and Eye (Vision Science and Eye 2017). The theme of the conference will be “The Thinking Eye...The Seeing Brain”. Vision Science and Eye 2017 is a two-day conference which includes referred papers and poster presentations, special invited product sessions on emerging technologies, interactive workshop sessions each day. Peer review: Abstracts will be peer reviewed. Open Access: All papers will be available as open access publications, which are broadly indexed and cited. Full versions of the paper will be online, without fees. Conference Location - London, UK. Conference Date - August 10 & 11, 2017. The eyes together with their connecting pathways to the brain form the visual system. It detects and interprets information from visible light to build a representation of the surrounding environment. In the eye, the cornea bends light rays and is primarily responsible for focusing the image on the retina. The lens behind the cornea inverts the image top to bottom and right to left. The retina, a sensory surface inside the back of the eye, is the structure that translates light into nerve signals, and enables us to see under conditions that range from dark to sunlight, discriminate colours, and provide a high degree of visual precision. Most projections from the retina travel via the optic nerve to a part of the thalamus called the lateral geniculate nucleus (LGN), deep in the centre of the brain. The visual system is beautifully crafted to transmit information of the external world to visual processing and cognitive centres in the brain. The basis of cognition is the brain’s ability to synchronize all the electrical activity it is constantly receiving and generating. Deriving meaningful information from visual data almost certainly relies on cognition. Basic vision processes such as focusing and tracking eye movements are prerequisites to the ability to take information into the visual system for higher-level processing. The visual system does not work alone and vision therapy can be most effective when it incorporates cognitive skills development in the systems most integrated with the visual system, including attention, memory, and even auditory processing. Visual Neuroscience focuses on Visual system of human brain mainly the visual cortex of the brain. The aim is to understand functioning of the visual neural network and how it influences visual perception and behaviour. It mainly focuses on how eyes and brain responds to light, how perception of images happen in the brain and how mind recreates the world like reality as it really is. Vision is a biological process and the human organism's phylogenetic capacity for seeing, a social, political and cultural phenomenon which is continually undergoing transformations throughout history and in relation to different social and cultural environments. Accordingly if we are to better understand the diverse ways of seeing encountered around the world then we must consider the relationship between the eye, brain and body in relation to language, the imagination and culture; consider how different visual practices are embodied, naturalised and articulated within different times and places; and how acts of looking not only shape the relations between persons but structure the way they encounter and understand the world and finally how culture shapes our visions. Humans use their eyes and their brains to see and visually sense the world around them. Computer vision is the science that aims to do a similar job by a machine or computer. Computer vision is concerned with the automatic extraction, analysis and understanding of visual information from a single image or a sequence of images. It involves the development of a theoretical and algorithmic basis and deep knowledge on human visual system to achieve automatic visual understanding. 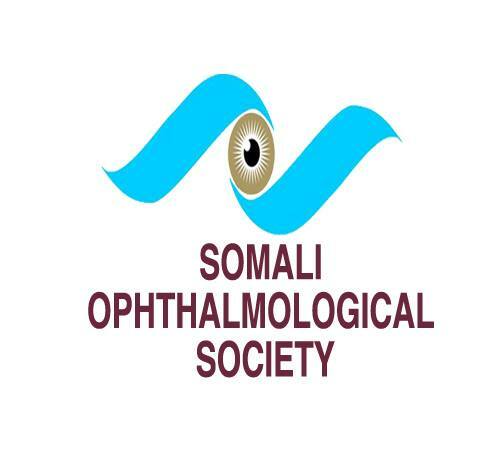 Ophthalmology is branch of medicine that entails the anatomy, physiology, and diseases of the eye. Vision science deals with a complete scientific understanding of visual system in both humans and other organisms. And together these branches address a multitude of eye diseases and visual system disorders that can be diagnosed, treated and prevented. A classic debate on the relation between language and colour perception has been outlined. This debate entails whether human perception of colour is subject to language relativistic effects. This concept focuses on various disciplines beyond linguistics, including visual neurobiology, anthropology of vision, psychology, sociology and cultural relativity. Visual Memory is the ability to remember or recall the characteristics of a given object place, people or form in a mental image. If we have trouble inputting information into our short term memory, we can’t process it into our long term memory for permanent storage. Children with poor visual memory may often subvocalize as they read because they must rely on auditory input to help them compensate. Thus, the intersection between memory and vision is a particularly interesting domain of research because it concerns both the processes of memory and the nature of the stored representations. Colour is created by utilizing two properties of light, energy and frequency of vibration or wavelength. Our brain separates these two properties of light, energy and wavelength, and then recombines them into colour perception. Colour processing starts with the photoreceptors that convert light energy into neural signals. Then the parallel channels leading from the retina to the thalamus carrying information into visual cortex, where colour is ultimately determined. The optic nerve is cranial nerve that transmits information from the retina of the eye to the visual cortex of the brain. This visual information includes brightness perception, colour perception and visual acuity. Optic nerve is also responsible for neurological reflexes of the eye i.e. pupillary reflex and ciliary reflex. Visual impairment occurs when some of the nerves fibres are lost, known as optic atrophy. The amount of image processing going on in the eyeball is astounding. The signals from your retina split into some channels that analyse the image before it reaches the brain. Dual focus on both sharpness and speed is made possible through different processing streams set up in the retina. The eye separates all the visual information into various channels and each channels is taken up different type of ganglion cells which carries information about motion or colour or edges, etc. All these channels are pre-processed by the ganglion cells before actually reaching the brain where final image interpretation happens. Dominant sensory information needed by athletes during sporting activities is contributed by the visual system. It has been claimed that 95% of all physical movement is controlled visually and that this is the trigger mechanism for the initial movement of the athlete. Hence vision therapy and sports vision training can improve vision skills needed for athletes in sports. Vision therapy is a term used to develop or improve visual skills, abilities, visual comfort, ease, and efficiency; and change visual processing or interpretation of visual information. The vision therapy program is based on the results of a comprehensive eye examination or consultation, and takes into consideration the results of standardized tests, the needs of the patient, and the patient’s signs and symptoms. The use of lenses, prisms, filters, occludes, specialized instruments, and a computer program is an integral part of vision therapy. Binocular vision is state of simultaneous vision which is achieved by coordinated use of both eyes so that separate and slight dissimilar images arising in each eye appreciated as single image by process of fusion. It is the most common visual disorders. They are usually associated with symptoms such as headaches, asthenopia, eye pain, blurred vision, and occasional diplopia. Diabetic Retinopathy is a progressive micro angiopathy with consequent breakdown of blood retinal barrier resulting in a variety of fundus picture finally leading to blindness. It is an ocular manifestation of systemic disease which affects up to 80% of all diabetic patients. Low vision as the name indicates the condition linked with abnormal or low eye sight which interferes the daily functioning of a child. Paediatric Low vision could be a cause of various eye diseases such as paediatric glaucoma, paediatric cataract etc. Low vision exam of paediatric is differs based on the age of the child. Visual acuity, refractive error, visual field, eye muscle function and colour vision are the consideration taken by paediatric ophthalmologists to find out the visual function of a child. Ocular Oncology is a highly specialized and niche facility offering expert care in the treatment various cancerous tumours of the eye and surrounding structures. The commonest tumour of the eye occurs in children and is called ‘Retinoblastoma’. The second most common intra-ocular tumour treated is Choroidal Melanoma which largely occurs among adults; it has advance facilities and expertise in procedures such as Transpupillary Thermo Therapy, Brachytherapy, Local Tumour Resection in the form of Eye Wall Resection for effectively treating this condition. Complex vitreoretinal problems that is associated with some of the other intraocular tumours such as choroidalhemangioma and Von HippelLindauare. 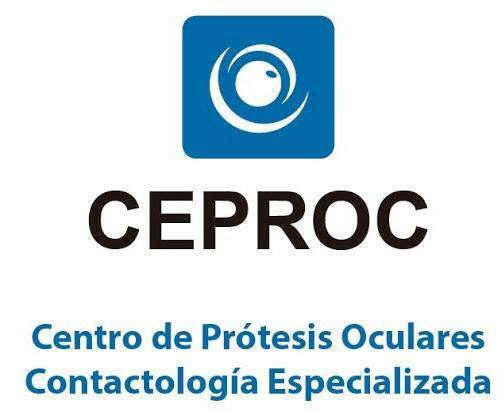 The Ocular Oncology is engaged in close interaction and collaborative treatment initiatives with the Ocular Surface Clinic for the management of tumours of the surface of the eye and with the Oculoplasty Department for management of orbital tumours. Retina is the light sensitive film in the back of the eye. The image is perceived here and transmitted to the brain by the optic nerve. The vitreous is the clear gel that fills the back of the eye. Diseases of retina can affect any age. Premature infants can be affected by a disease called - ROP (Retinopathy of pre-maturity). Heredity and age related degenerations can affect the retina - especially the central most sensitive part of the retina called 'macula'. The retina can detach from the back portion of the eye - a condition called 'Retinal Detachment'. The Vitreous gel can become opaque due to blood - a condition called 'Vitreous haemorrhage'. This condition can occur in diabetics following injury and in other conditions. The treatments available are Medical managements such as Laser Photocoagulation , intravitreal injections and Surgical managements such as Complex Vitreoretinal Surgery. A cataract is a clouding of the lens in the eye. This clouding affects vision. A cataract can happen in one or both eyes, but does not spread from one eye to the other. Most cataracts happen as the result of aging, and they are very common in older people. Cataracts affect vision by creating a cloudy area on the lens of the eye. This cloudy area can get larger over time and cause serious vision problems. The lens helps to focus light on the retina, the light-sensitive tissue at the back of the eye. In a normal eye, light passes through a clear lens to the retina, which turns it into nerve signals that are passed to the brain. The lens must be clear for the retina to receive a sharp image. If the lens is cloudy from a cataract, the image that the brain receives will be blurred. Age-related cataracts can also cause discoloration of the lens. Over time, the clear lens slowly changes to a yellowish or brownish color, which tints vision. This gradual change in tint does not make vision blurry. Dry eye occurs when the eye does not produce tears properly, or when the tears aren't of good quality and evaporate too quickly. Dry eye can make it more difficult to perform some activities, such as using a computer or reading for an extended period of time, and it can make some environments uncomfortable, such as the air inside an airplane. Other names for dry eye include dry eye syndrome, keratoconjunctivitis sicca (KCS), dysfunctional tear syndrome, lacrimal keratoconjunctivitis, evaporative tear deficiency, aqueous tear deficiency, and LASIK-induced neurotrophic epitheliopathy (LNE). In some cases, dry eye can cause inflammation of the eye's surface. Without treatment, this can lead to pain, ulcers, or scars on the cornea (the clear, dome-shaped outer surface that covers the center of the eye), and some loss of vision. But permanent vision loss from dry eye is uncommon. In most patients, glaucoma occurs when pressure inside the eye is at a level sufficient to damage to the optic nerve. The optic nerve is a bundle of more than 1 million nerve fibers. It connects the retina to the brain. The retina is the light-sensitive tissue at the back of the eye. A healthy optic nerve is necessary for good vision. Glaucoma is one of the leading causes of blindness. Glaucoma causes blindness in little over 12 percent of people with the condition. However, early treatment can often prevent serious vision loss. Conjunctivitis is a medical term for inflammation of the “conjunctiva.” The conjunctiva is a thin, transparent layer of tissue that lines the inner eyelids and outer surface of the eye. While conjunctivitis is more common in children, it can also happen in adults. Conjunctivitis is also called “pink eye” or "red eye." Conjunctivitis can be acute or chronic depending on the cause of the condition, the symptoms involved, and how long it lasts. Acute conjunctivitis usually goes away in a few days, while chronic conjunctivitis can last much longer, or come back again and again. London is the capital city of England and the United Kingdom. It is the most populous region, urban zone and metropolitan area in the United Kingdom. Standing on the River Thames, London has been a major settlement for two millennia, its history going back to its founding by the Romans, who named it Londinium. London is a leading global city, with strengths in the arts, commerce, education, entertainment, fashion, finance, healthcare, media, professional services, research and development, tourism and transport all contributing to its prominence. It is one of the world’s leading financial centers and has the fifth-or sixth-largest metropolitan area GDP in the world depending on measurement. London is a world cultural capital. It is the world’s most-visited city as measured by international arrivals and has the world’s largest city airport system measured by passenger traffic. London’s 43 universities form the largest concentration of higher education in Europe. In 2012, London became the first city to host the modern Summer Olympic Games three times. London has a diverse range of peoples and cultures, and more than 300 languages are spoken within its boundaries. It is a major center of higher education teaching and research and its 43 universities form the largest concentration of higher education in Europe. London contains four World Heritage Sites: the Tower of London; Kew Gardens; the site comprising the Palace of Westminster, Westminster Abbey, and St Margaret’s Church; and the historic settlement of Greenwich. Other famous landmarks include Buckingham Palace, the London Eye, Piccadilly Circus, St Paul’s Cathedral, Tower Bridge, Trafalgar Square, and The Shard. London is home to numerous museums, galleries, libraries, sporting events and other cultural institutions, including the British Museum, National Gallery, Tate Modern, British Library and 40 West End theatres. Secondly, colour science and vision psychology has massive scope in the advertising industry and media industry. In visual marketing, colour reigns supreme. Colour brings harmony. Visual stimulation, when done correctly, engages the viewer and brings about creating an inner sense of order and balance in the visual experience.